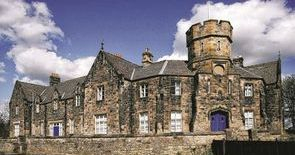 Vane Tempest Hall is a community centre in Durham, but its former identity - dating from 1863 - is Gilesgate Barracks, this is the only surviving barracks in County Durham and, in its checkered career, it has seen service as a smallpox isolation clinic for the city and also for the storage of bodies from that disease. The 'barracks' has its own morgue. Without giving too much away about this location, there has been a lot of paranormal activity recorded here over the years. A soldier has been witnessed in the court yard... a ghost who has his own reasons for being there. There is also a lady in white who has been seen. So... given its history of torture, murder, and paranormal activity, it is little wonder that Shadows of the Night are here to investigate.